The Mother's Day Card Set is a card set with pictures suitable for Mother's Day on the cards. We have Windows and Mac versions of the card set. See screenshots and pictures of some of the cards or download the Mother's Day Card Set from http://www.goodsol.com/pgs/mothersday.html . 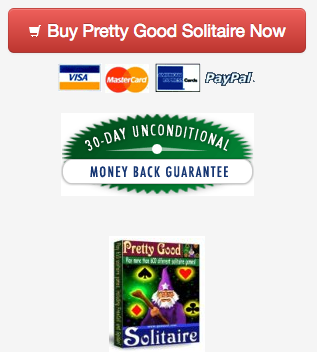 Pretty Good Solitaire has recently updated to version 18.0 with 1000 games - 40 new games in this version. Download it at http://www.goodsol.com/download.html . If you have any trouble downloading or installing, see our video How to Download and Install Pretty Good Solitaire there. 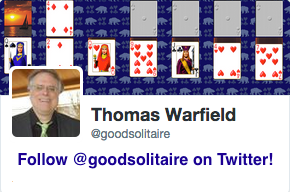 The latest version of Pretty Good Solitaire for Mac is version 3.4 with 700 games. Note that if you have macOS Sierra/High Sierra, you need at least version 3 of Pretty Good Solitaire, it is best to update to version 3 from the link in your order receipt email before updating to Sierra/High Sierra. This game is at Cone.